Paid market research from home - feed your shopping habit! Think shopping is simple? Think again. Whether you indulge in a little online haggling or employ the nifty trick of abandoning your shopping cart and waiting for a discount, there are plenty of ways you can get what you want for less. Here are our top ten shopping secrets revealed! We generally only look at the label for sizing and pricing information, but for those in the know, they are a treasure trove of hidden information. Store staff often scribble letters, numbers or symbols on the price tags of items that are about to be reduced, so look out for codes like B14, G4, )B9 and S13; the numbers signify what the sales price will be once the item is reduced. 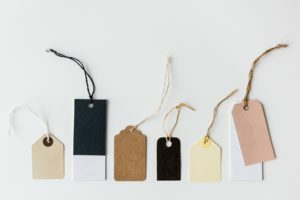 Retailers like Next and River Island adopt this technique, so if you see these on the tags, hold off on your purchase! When shopping online, if you get through most of the process but change your mind at the last minute before actually purchasing an item, this is known as ‘abandoning your basket’. 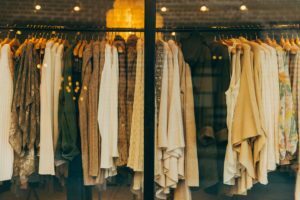 With abandonment rates running at a whopping 75% in 2017, stores are very keen to find ways to tempt you back and will usually do this by offering you a discount via email. Be aware that this might not happen every time, but it’s definitely worth a try! With the UK high street being as unpredictable as it currently is, we can’t be sure which stores are going to be around for the long haul. If you’re given a gift card as a gift, don’t just shove it in a drawer and forget about it, as you might find that it either expires or the store goes bust before you get to use it. Spend it as soon as possible, and combine it with online discount codes for a brilliant double discount. If you’ve heard the famous John Lewis slogan of ‘never knowingly undersold’, you’ll be aware of how seriously the department store takes their customer service. But that does it mean? Well, if you find a product on sale that you’ve purchased at John Lewis cheaper elsewhere within 28 days of buying it, John Lewis will give you the difference! You can get some impressive discounts online if you find the right codes, but you have to be clever! Most of the popular stores wait until Wednesday to launch their codes, so hold off your search until then if you want to grab the best bargains. The best websites to usecare Vouchers and Hot Bargains, but dedicated bargain-hunters will also find decent discounts on other code websites. If a special offer item is out of stock, a product line has been discontinued, or a customer has a problem, Asda staff are allowed to give out what are known as ‘spark vouchers’. These are goodwill vouchers which are worth up to £1 and can be spent on anything in the shop apart from tobacco, alcohol and lottery tickets. So if your favourite item is nowhere to be seen, approach a member of staff and you might just get a little something back. atements informing shoppers of the origin of goods on sale, so you’ll always know what you’re getting for your money. How many times have you wanted to take something back to a shop but not been able to because you can’t find the receipt? If you’re anything like us, probably loads. However, it turns out that you can use other methods as a proof of purchase, such as a bank statement. The majority of high street stores will now offer to email you a receipt as well as given you a printed one, which is worth taking them up on as you won’t be able to lose it. When you’re shopping online, you may have noticed a window popping up offering you a chance to chat with a help assistant. You may just dismiss these as an annoyance, but you can actually get some amazing discounts using this method by speaking with them about a particular product and then asking them for money off; some examples we’ve come across are of Nike offering 10% off, Dell offering £55 off and Dyson offering £10 off. Worth a try! When shopping in a supermarket, you’ll see the special offers positioned at the end of the aisles to tempt you into putting things in your basket. However, these items may not be the cheapest available and you could end up not getting a bargain at all. Do your own price comparisons whilst you shop rather than just trusting what you’re told by the store. Sign up to paid market research now and help fund your shopping habit!